Barter means wholesale buying power. With barter, the real cost of the products you purchase on trade is actually the wholesale cost of your trade dollars earned. Making sales with built-in profits makes the cost of your purchases more economical on trade. 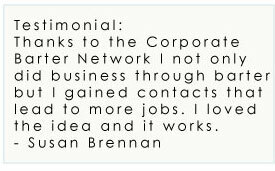 When you join Corporate Barter Network, you open the door to a new, cash-free way of handling every day business and personal expenses. Read More...Barter means added profits. 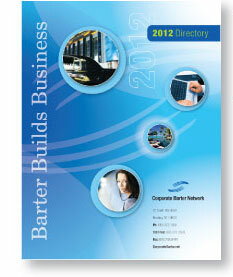 Barter Builds Business! Keep your business busy and connect with potential clients. Barter Dollars Makes Money & Sense! to purchase in a worldwide network.